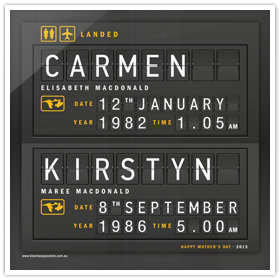 Retro inspired, elegant and sure to fit into any decor. 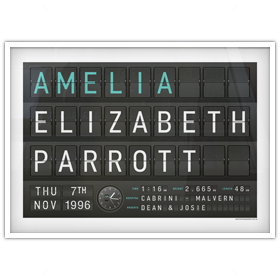 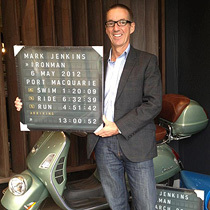 Created by Dean Parrott and inspired by the iconic airport arrival / departure board. 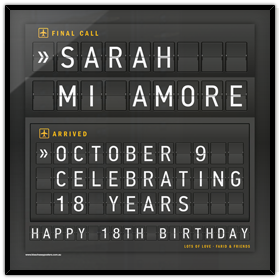 Dean's tribute to the classic airport flip board typography. 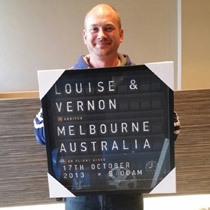 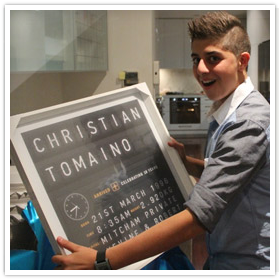 Personalise your poster with names, places, destinations, special events and occasions such as birthdays, engagements, weddings, anniversaries or personal triumphs. 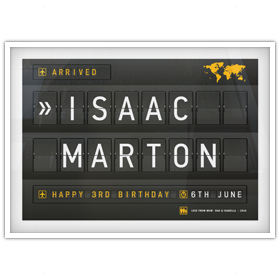 With varying size options at price points to suit your budget... our airport arrival board makes for a great gift whatever the occasion!